Howells Solicitors in Sheffield explained that South Yorkshire Police had committed a serious breach of the anti-felling campaigners' human rights. This was through inappropriate use of the anti-picket 'Section 241' of the Tories' Trade Union and Labour Relations Act 1992 (see 'Anti-trade union laws used against Sheffield Trees Action protesters' at socialistparty.org.uk). In an out-of-court settlement, South Yorkshire Police agreed to pay a total of £24,300 to the seven activists in compensation. But the case leaves many questions unanswered. 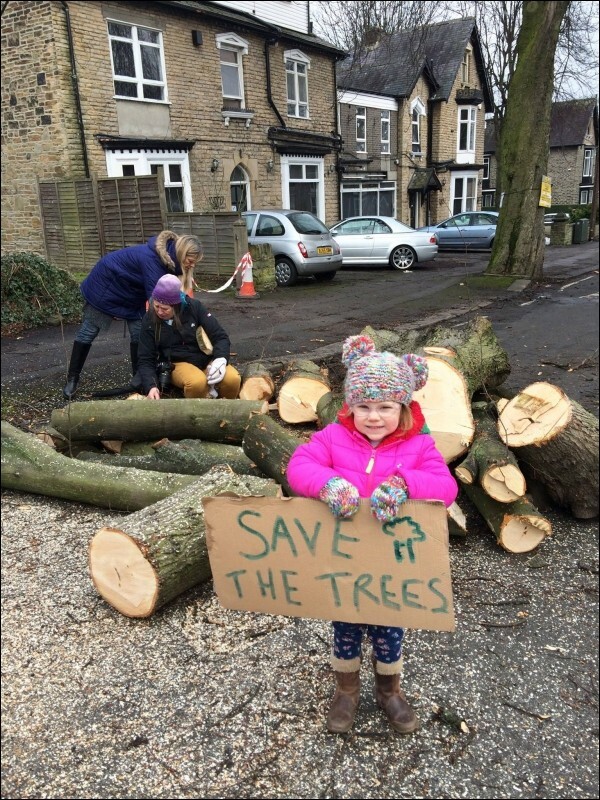 Campaigners are now calling for an inquiry into how the tree-felling dispute was policed, and whether there was collusion between South Yorkshire Police, the private contractor Amey, and Labour-run Sheffield City Council. In the words of Simon Crump, one of those wrongly arrested: "We have had the justice - but where is the truth?" Paul Brooke, co-chair of Sheffield Trees Action Group, reports that an "audit trail" connects senior council officers to Amey discussing "powers on the ground" to arrest protesters. Paul has called on Julie Dore, leader of Sheffield City Council, to explain "why she felt it appropriate to use an anti-trade union law" to shut down protest. The whole debacle is a direct consequence of not fighting austerity and privatisation. The leadership of Sheffield council is doing no more than implementing Tory cuts, and dealing with the fallout by allowing the arrest of those who seek to fight Tory cuts! This must stop! There are lessons for militants engaged in environmental movements. In Sheffield there were informal links between protesters and the trade unions. But these links need to be far more robust so there is solidarity between workers and protesters, rather than conflict. Such links would have undermined the right wing of Sheffield Labour Party, which claimed the trees protesters were at best a diversion from fighting privatisation and austerity, and at worst were merely protecting their 'privileges'! Direct action and the beginnings of dissent within the local Labour Party forced the council to pause the fellings. 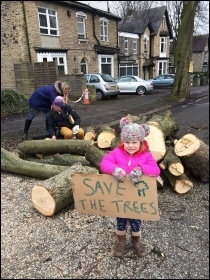 After extensive talks in the autumn, many healthy trees are now being saved on the streets of Sheffield. The movement has led to constructive relationships between tree protesters and tree workers. Tree workers are currently working hard to save the remaining street trees using engineering solutions that both Amey and the council had previously denied were affordable or even possible. While police have awarded seven protesters substantial compensation, for the 40-plus arrested without ever finding themselves in court, and the residents who have lost 2,000 healthy trees from our streets, there is still no justice. Sheffield's incumbent Labour councillors could make a start by apologising for their actions and accepting the need for a public inquiry - which should be independently led by the trade unions along with the community campaign. And they must urgently make a start on fighting Tory cuts and privatisation, including by setting a no-cuts budget - or step aside for candidates who will.